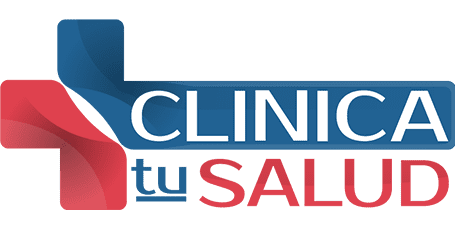 To give his patients the best possible experience and medical care, Dr. Jaxel Lopez-Sepulveda founded Clinica tu Salud with a convenient on-site laboratory. In Irving, Texas, Dr. Lopez-Sepulveda works under the notion that every patient deserves time, compassion, and customized care. He provides a range of diagnostic and preventive testing and screenings, including STD testing, complete blood count, glucose levels, and more. Take control of your healthcare and visit a perceptive and considerate specialist. Call or schedule your consultation online. What are the benefits of an in-office laboratory? A medical laboratory is a specialized clinical setting where a variety of tests are conducted and analyzed to obtain valuable health information pertaining to the diagnosis, treatment, or prevention of disease. There are many benefits to patients who use Dr. Lopez-Sepulveda’s in-office lab. The Clinica tu Salud in-office laboratory has state-of-the-art equipment and technology to give you the best results. What tests can be performed in an in-office laboratory? Dr. Lopez-Sepulveda can provide a range of laboratory tests, depending on your individual needs and concerns. An STD test helps Dr. Lopez-Sepulveda to diagnose a range of sexually transmitted diseases. A professional pregnancy test is especially accurate and gives you access to a medical professional. A complete blood count allows Dr. Lopez-Sepulveda to obtain general health information. A comprehensive metabolic panel can show your metabolism, liver and kidney function, blood sugar and electrolyte levels, and more. A glucose test is used to analyze the amount of glucose in your blood and check for prediabetes, diabetes, and insulin resistance. A urine analysis involves a group of tests to detect or measure a number of substances in urine, such as bacteria, certain cells, and byproducts of normal and abnormal metabolism. A lipid panel measures your cholesterol and checks for high levels of HDL, or bad cholesterol. A prostate-specific antigen test is used to check for prostate cancer in men. How do I know what laboratory testing I need? Dr. Lopez-Sepulveda assesses your health to determine what testing is right for you. He then devises an individualized treatment plan to help you maintain your health. Prior to your laboratory testing, Dr. Lopez-Sepulveda ensures you’re fully informed. You might be sent for blood work, where a small needle is used to draw blood from your arm, typically the inner bend of your elbow. For a urine test, you’re usually asked to urinate in a cup in a private bathroom and the urine is sent for analysis. Most laboratory work is conducted to check for more common and general health concerns, such as blood sugar levels, blood pressure, and cholesterol. For the latest laboratory technology and superior healthcare, book online or call the office today.